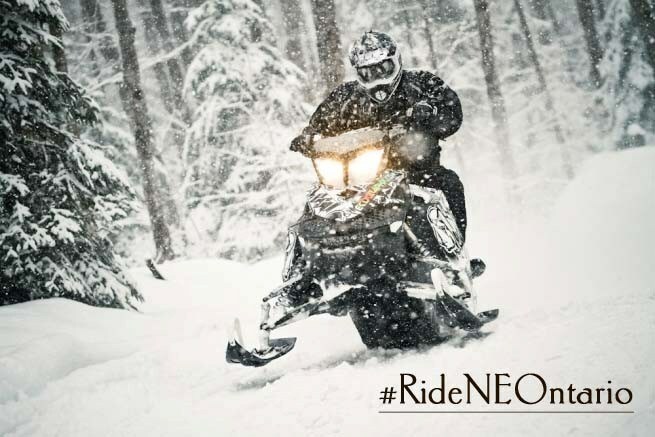 Pick Your Sled and Enter to Win a Free Snowmobiling Adventure for Two! 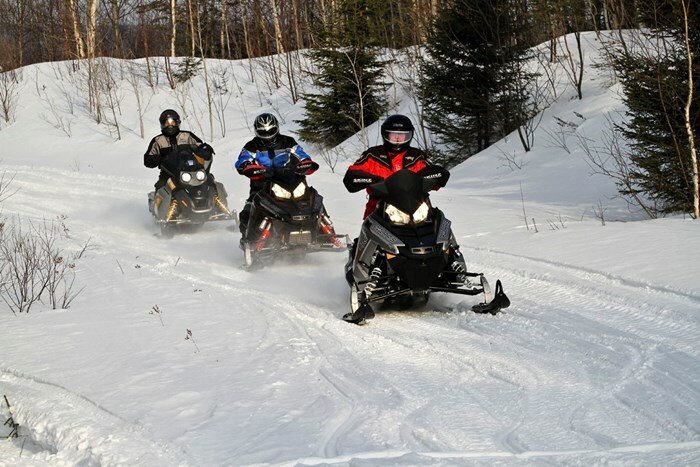 Whether you’re shopping for a new sled, used snowmobile, or your first, rest assured that there are many incredible OFSC trails here in Ontario for you to try out once you’ve picked your new snowmobile. 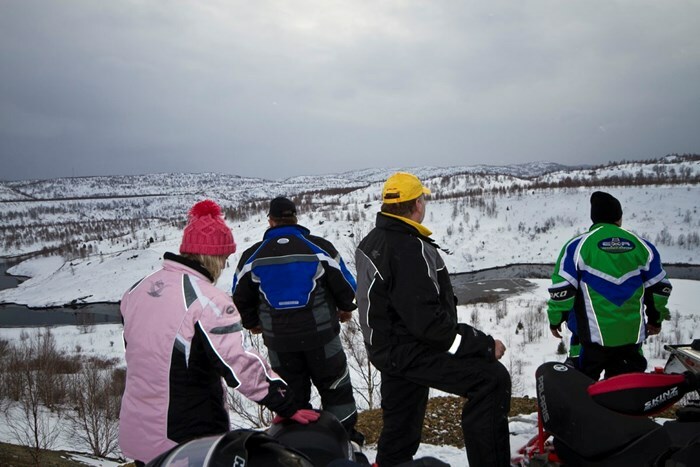 Snowmobilers here in Ontario have over 32,000 kilometres of OFSC trails to choose from, and within this extensive network, eight premiere snowmobile loops have been selected this year by the OFSC that offer great ride itineraries for just about anyone. 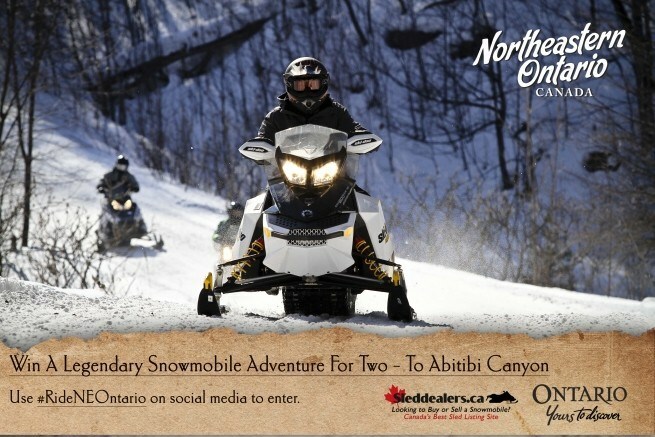 This winter, Northeastern Ontario has also established an exciting contest that will give some lucky sledder the chance to win a snowmobile adventure for two, consisting of 3 days and 3 nights including accommodations, two sleds provided by Sleddealers.ca, $500 to cover gas and other expenses, and a guided snowmobile ride with Supertrax journalist John Arkwright on the Abitibi Canyon Loop and adjoining trails—one of the most remote and legendary routes in the area! Who wouldn’t want to win? 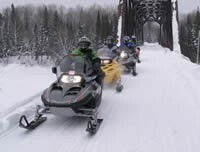 The Abitibi Canyon Tour Loop on the A103, which happens to be one of the furthest north-reaching snowmobile trails in the area is the destination for this contest. A few of us at OntarioSnowmobiler.ca have ridden this area many times and have some great memories. If you haven’t had the chance yet, you need to enter this contest. Of course, if you’ve been before we know that you’re already sold! Simply put, it’s a legendary ride. 4. Must be a public post on Facebook, Instagram, Twitter, YouTube, Flickr or Pinterest. Now that we’ve reviewed the contest rules, here are our top five ideas to help spark your social media creativity and give you that competitive edge. 1. With so many iconic statues in Northeastern Ontario, it’s hard to sled in the region and not see at least one. Consider snapping a picture in front of one of the many gigantic statues that dot the land. 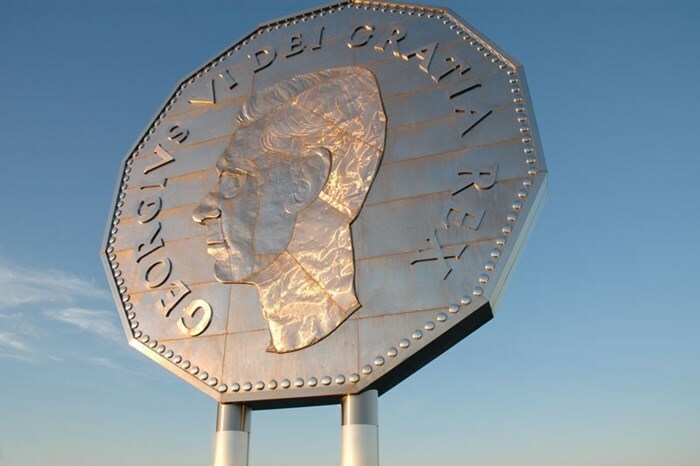 Hints: Big Joe Mufferaw in Mattawa, the jet fighter in North Bay, the Big Nickel in Sudbury, Temiskaming Shores’ famous Cow, the bronze mining statues in Timmins, the Cochrane Polar Bear, maybe even the spaceship in Moonbeam. 2. Northeastern Ontario is home to many mesmerizing lakes and rivers that dot and twist through the rugged landscape… so, stop and snap a pic! A few of our favourites include: Lake Nipissing, Wanapitei Lake, Lake Temiskaming, Lake Temagami, Lake Abitibi, the Matagami River, Mattawa River or Abitibi River! 3. 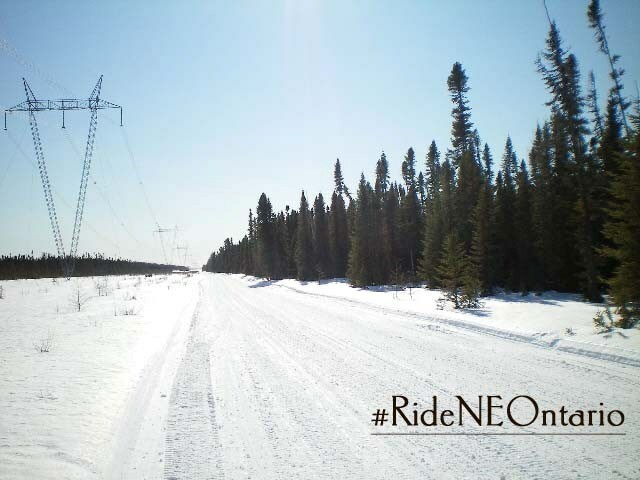 The trail system in Northeastern Ontario has an extensive offering of trail side attractions and sights like no other. Consider riding to a hidden or favourite location to submit your post and snap that legendary photo! 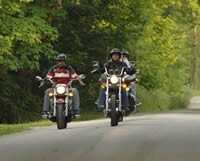 Boulter Scenic Lookout, Wolf Mountain Lookout, Timmins Snowmobile Mining Road Tunnel, Temagami Lookout Tower, Rene Brunelle Provincial Park… these are just some of the places that we’ve checked out during our rides in the area. We’re hoping that you may let us in on your secret destinations too. 5. Legendary adventures abound in Northeastern Ontario—be animated, action-oriented and capture that moment and the thrill of being there in your post! 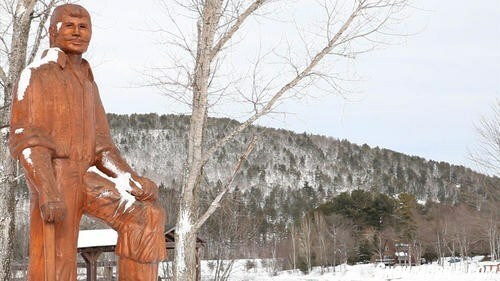 Our guess is that Northeastern Ontario tourism is looking for someone who wants to have a blast and at the same time isn’t deterred by northern wintry conditions. After all, isn’t that what snowmobiling is about? For more tips, topics and happenings, also please stop by and check out our weekly podcast at OntarioSnowmobiler.ca talk radio for snowmobilers, by snowmobilers.